Are you ready to cast your vote for our City Council District 7 Representative? There are 6 candidates that will be on the primary ballot. Elections in Salt Lake County have changed and we will be getting ballots in the mail. Ballots go out in the mail 30 days prior to the election. 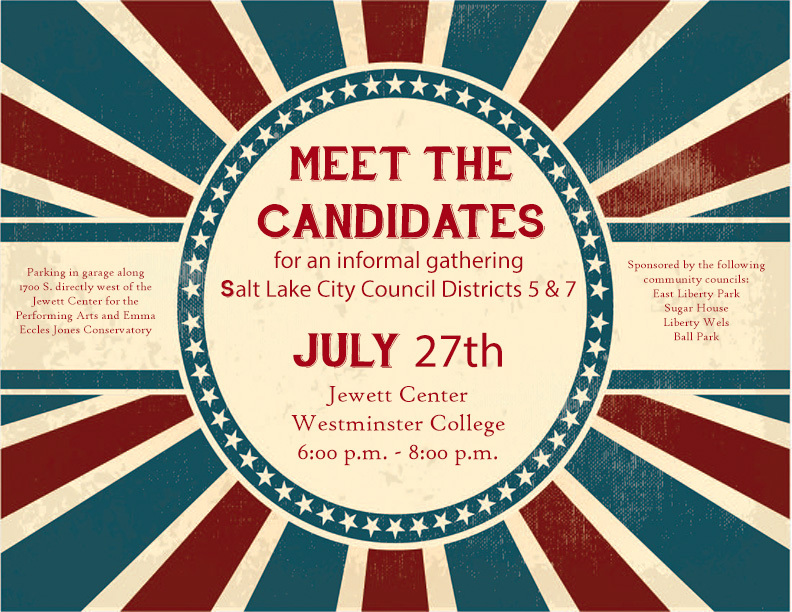 We have joined with neighboring community councils to bring you an informal event to meet and talk to the candidates. **Please note this event is jointly sponsored and candidates for District 5 will also be in attendance.